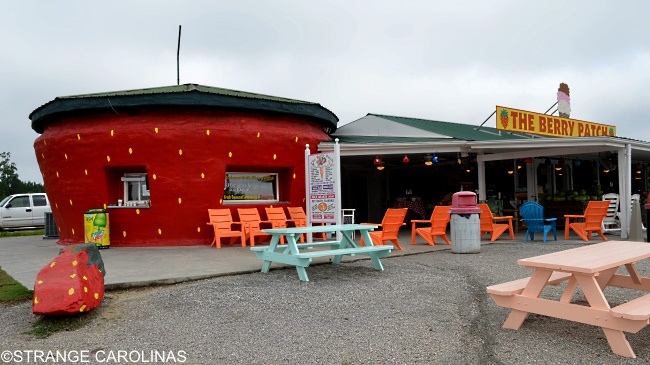 Ellerbe's The Berry Patch is the home of the World's Largest Strawberry, which it uses to sell ice cream to customers stopping by the popular fruit and vegetable stand. 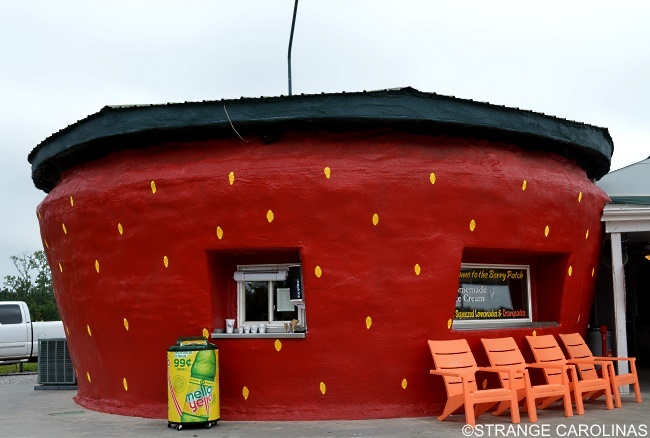 According to its website, the World's Largest Strawberry is 24 feet tall and took over 5 months to construct. 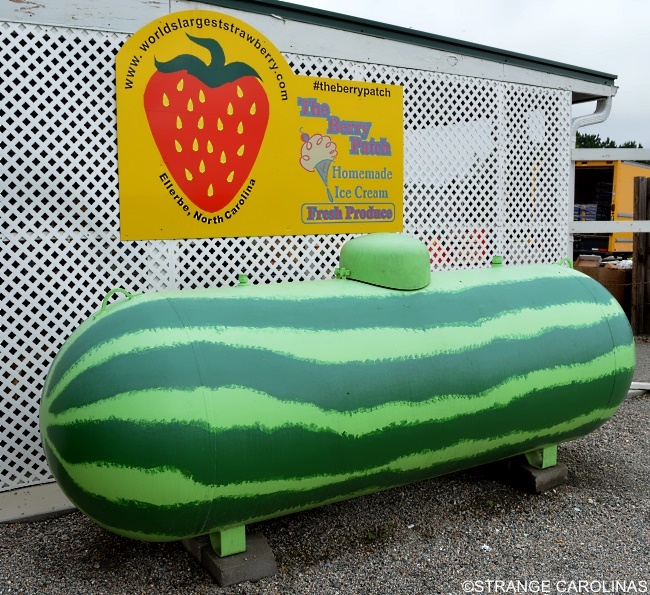 Fun Fact: In addition to the World's Largest Strawberry, Ellerbe was also the home of one of the World's Largest Men, or at least one of the most popular. Andre Roussimoff, who wrestled and acted as Andre The Giant, spent the last decade of his life in the small town. P.S. The Berry Patch is also home to a pretty big watermelon.